This art project introduces students to the use of gel mediums and non-conventional, recycled art materials, blending drawing, painting and collaging techniques that will expand their creative expression. Why do the Inuit live so far north in a seemingly inhospitable land of ice and snow? How has this landscape shaped their lives and how does it provide them with food and shelter necessary to survive? 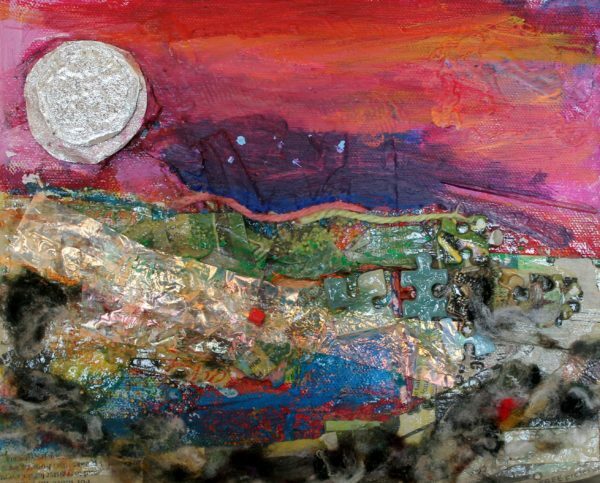 Through oral storytelling and sharing of photographs, students learn the visual characteristics of the landscape in Nunavut and become inspired to create a Midnight Sun landscape on canvas using a combination of recycled paper, fabric, beads and gel mediums. First Nations, Métis and Inuit: Indigenous identities, connections, expressions, preservation, protocol, Elder and Knowledge Keeper oral histories and land-based learning. In-School Field Trip: Due to the amount of supplies required for our Indigenous Visual Art programs, we require you to book two or three classes of the same program on the same day. 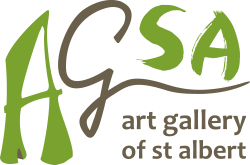 Kindly email registration@artsandheritage.ca or call 780 459 1163 for more information regarding booking an in-school field trip. We are a non-profit organization and field trip fees help cover the cost of instruction, supplies and equipment. You will be charged for the number of students indicated at the time of booking unless you call one day prior to indicate a number change.